Ready to bring history to life in a whole new way? Don’t worry: this doesn’t involve any ancient curses or Night at the Museum shenanigans. All it takes, in fact, are some digital museum signs. These signs offer benefits that help your museum grow while offering a more engaging experience for every visitor. Keep reading to learn more about the key benefits of these signs! Some people hear “digital museum signage” and they think only of still images and video. The truth is that modern digital signs have evolved quite a bit! Many modern signs are a lot like the touch screen technology that we rely on for our phones and tablets. That makes these signs more appealing to visitors and opens up countless options for your museum. Want to add fun quizzes and enticing puzzles? It’s very easy to add these features, and it add a kind of “reply value” to your museum that is invaluable for a generation raised on apps and video games. There is more to digital display signs than bells and whistles, though. One of our favorite features is the ability to provide more key info upfront to visitors. Many who walk into your museum every day have basic questions. What are the hours, what is the cost, where are the new exhibits? Left to their own devices, these customers will play twenty questions with your staff. And that can really slow things down on a busy day. With digital message signs, you can provide all of this info to customers as soon as they walk in. They get a smoother experience and your staff receives fewer basic questions: everyone wins! It’s tough to go a single day without reading headlines accusing Millennials of destroying some industry or another. While those headlines are silly and overblow, there is a real lesson to be learned here. Specifically, successful businesses need to find more ways to appeal to Millennial audiences. The addition of special technology helps with this. However, the real Millennial appeal is turning the museum into an unforgettable experience. This is a demographic that cares more about unique experiences than simple transactions. And if you didn’t notice, this demographic is absolutely huge. Ultimately, digital museum signage can help you capture this crucial audience as customers. As you know, social media seemingly connects everyone and everything together. And that means that a successful business needs to be connected to social media! With any luck, your museum already has multiple social media accounts. However, the trick is getting more people to “like” and “follow” your account. With digital display signs, you can advertise your social media accounts and display some featured posts. Even better, you can display favorable posts made by your page’s friends and followers. This synergy works nicely, causing more museum visitors to become online followers. In turn, they help advertise your museum and bring more customers inside! If we’re being honest, most museums are very old school. In fact, many of them are display exhibits in many of the same ways that museums of a century or two ago once did. With digital museum signage, you can take a cue from modern art galleries and include new kinds of digital exhibits. This might include live video of historical sites, audio recordings from a period of time, and so on. The whole goal of going digital is to bring history to life in a compelling way. And the ability to add entire multimedia experiences does this quite well! Speaking of bringing history to life, you don’t have to stop by displaying multimedia. You can also add other interactive tech that works well with your digital display signs. For instance, motion sensing technology will allow customers to literally interact with whatever is being displayed. And like an engaging video game, this helps customers to feel like they have been transported to another world. You can also turn questions on the screens into a game that customers play by using their smartphones. This makes everything feel more engaging and helps keep people entertained, especially on a busy day. There are many brand new things that digital signs can do that traditional signs cannot. In other cases, digital signs simply do whatever traditional signs do–they just do it better. One of our favorite features is improved navigation. 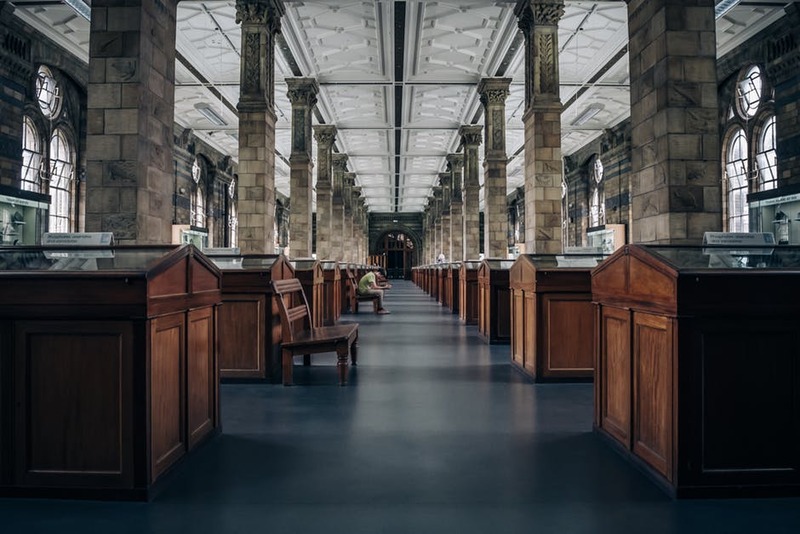 No matter the size of a museum, it’s very easy for customers to get lost, especially if it is there first time visiting. If they get lost, they might get frustrated with the experience and leave. Or they might flag down some of your staff and try to turn your workers into guides. Digital display signs can help point customers in the right direction. And you can add interactive features that help customers figure out not only where they are but where they are planning to go next. You’re probably familiar with the phrase “the children are our future.” The truth is that this is especially true for a business. If you can engage children who visit at a young age, you can create lifelong customers. However, you need to keep children entertained, and that’s no easy feat. Digital display signs help do this by making interactive learning much easier for children. And using the signs is just as easy and intuitive to them as it is when they use their tablets or smartphones. Children also make great brand ambassadors for your museum. If you entertain them enough, they’ll be bringing family and friends back time and time again! Now you know more about the benefits of digital museum signs. But do you know who can help you get started if you want them in your museum? At Eco Digital Media, we specialize in providing digital solutions to businesses looking to evolve. To see what we can do for your museum, check out our custom content options today!